This event has been canceled due to expected weather conditions in New York. Tomorrow at 7:35pm at the IFC Center as part of the DocuWeeks: Special screening of “Mexican Suitcase“ (86′, Mexico, Spain) followed by Q&A with director Trisha Ziff. Tickets for individual films at the IFC Center are $13; $8 for ALBA’s Friends – presenting a copy of this post. 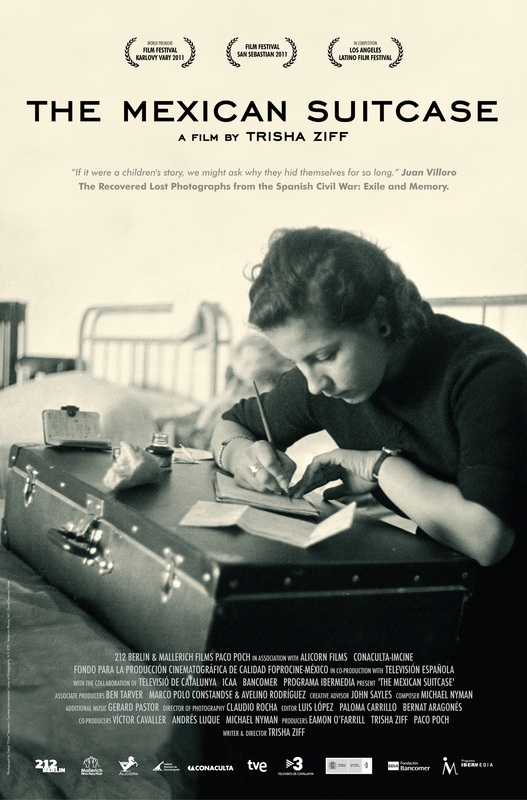 Mexican Suitcase tells the story of the recovery of 4,500 negatives taken by photographers Robert Capa, Gerda Taro, and David Seymour during the Spanish Civil War. The film follows the journey of these negatives to Mexico – images as exiles, recovered seventy years later. The Mexican Suitcase brings together three narratives: the suitcase, the exile story, and the way that Spanish people are now addressing their own violent past, 30 years after the transition to democracy. What is the power of memory? Who owns our histories?